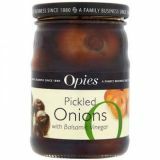 A traditional English delicacy, pickled walnuts have been a feature of Christmas meals for centuries - even mentioned by Dickens in The Pickwick Papers. 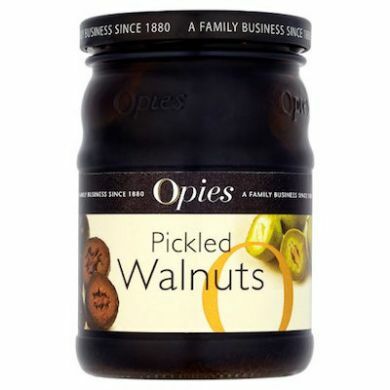 Opies walnuts are harvested before the shell forms, then cooked and marinated in a secret spiced malt vinegar recipe and packed into jars by hand. 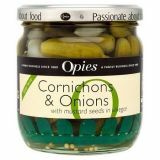 They make a delicious accompaniment to cheese and provide a tasty ingredient with salads. 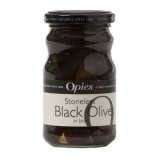 Made by Opies in the UK. Walnuts, Sugar, Water, Distilled Barley Malt Vinegar, Salt, Acidity Regulator: Citric Acid, Barley Malt Extract, Natural Flavouring. Contains Walnuts and this product is made in the factory where following allergens are handled: walnut, mustard, dairy, sulphites, celery, soya.